Magix Digital DJ Review: The Best DJ Mixing Software? If you are looking for the best DJ mixing software around, then the Magix Digital DJ audio mixer should definitely be on your shortlist. 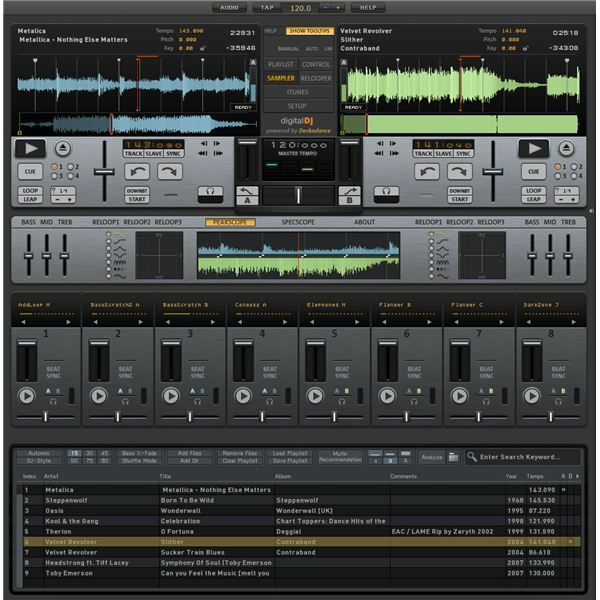 This fun, feature packed software title puts the power of a club DJ at your fingertips. If you've ever been to a party, club, or wedding reception and seen the DJ using a laptop to help mix his tracks, then the chances are he, or she, were using some kind of digital mixing software. 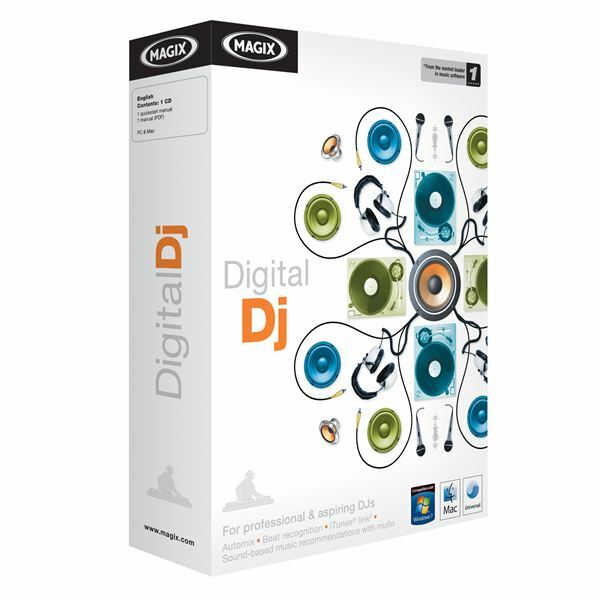 Magix Digital DJ is one such program, and it is aimed at established and aspiring DJs. It is a brand new program for Magix that will run on PC or Mac, and it gives you control over a virtual mixing desk. Digital DJ is based on the Deckadance software engine and helps you set up playlists, create samples, and make smooth transitions between your tracks, just like your favorite DJs do! Digital DJ allows you to quickly and easily set up a playlist. You can import tracks from your computer's hard drive, or import songs and playlists directly from iTunes. All popular audio file formats are supported. You get an automatic beat sampler that will scan your tunes to give you an accurate number of beats per minute, while the mufin analyzer will give you suggestions of what tracks are similar enough to sound good in the same playlist. Most of the time the mufin analyzer worked very well for me, but you are still free to manually select your own set list. A number of mixing effects like a low pass or comb filter are included, as is a 3 band graphic equalizer with a kill function for fading your bass, mid and high sounds. 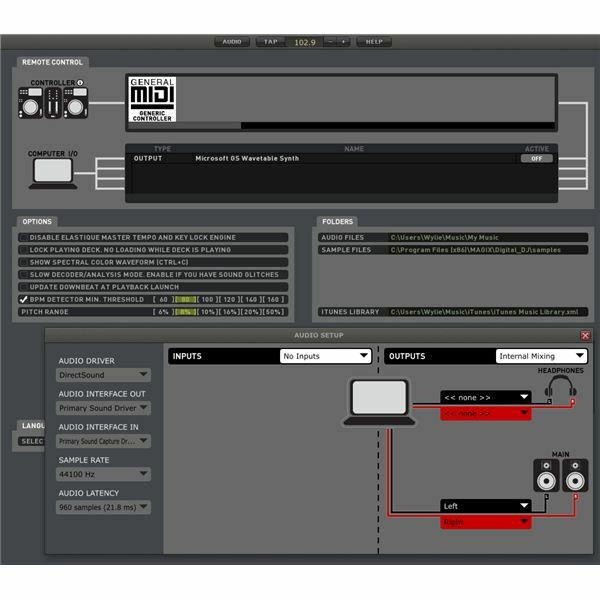 There is a built-in sampler that lets you play your own samples, or choose from a selection or preloaded samples. You can change the playback tempo and pitch, cue up songs, match beats with a visual beat analyzer and preview a mix on headphones (if you have a sound card with two headphone outputs). 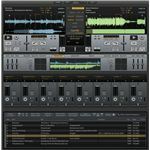 In short, it has almost all of the same features that the best DJ mixing software titles have. If you have used any kind of music mixing software before, or have experience using Deckadance, then Magix Digital DJ will likely have a short learning curve for you. All the elements that you would expect to see with this kind of software can be found pretty quickly and without much digging around. However, if you are completely new to this kind of software, then it will probably take you a few days to find your way, and achieve the effects that you want. As stated above, the integrated mufin technology does a good job of finding compatible tracks to mix and can definitely save you some time, while the automatic crossfader is another easy to use tool for all users. The included quick start guide is a great place to get started as it walks you through all the basics and will have you mixing your first tracks in no time. However, more detailed instructions are included in the PDF manual, and you can also find tutorials for Digital DJ's parent software, Deckadance, on YouTube. While Deckadance is not exactly the same as Digital DJ, it has many of the same core features that you will need to learn, so many of the video tutorials on YouTube have transferable skills. 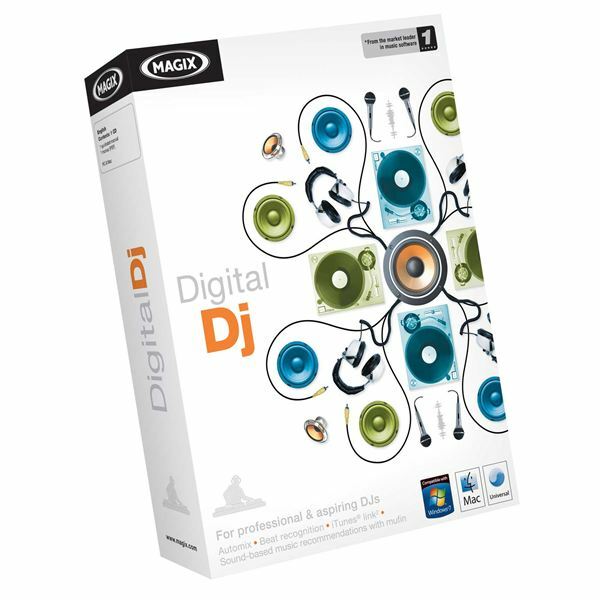 Magix Digital DJ has a promotional launch price of $39.99, but will more often be seen selling for its recommended retail price of $49.99. While there are several free music mixers you can choose from, this still represents good value for money considering the features that are included in Digital DJ. Compared to its parent software, the cheapest version of Deckadance retails at $99.99, but with that you get the option to use it as a VSTi plugin in your favorite host, the ability to control it with MIDI controllers, the option to record your own sets, and host VST plugin effects. The standard version of Digital DJ does not offer these features, and if you can live without them, even for the short term, you are looking at savings of at least $50 on the purchase of Deckadance, which is one of the best DJ mixing software titles you can buy. However, if you find in the future that you would like to add these features, then Magix has announced an upgrade option that will allow you to obtain this functionality by upgrading to the Deckadance House or Club Editions. At the time of writing this review, no prices were available for upgrading Digital DJ. There is a lot to like about Digital DJ. It is fun and easy to use, yet powerful enough to be able to produce some professional sounding mixes. 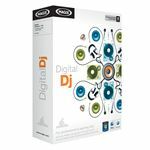 If you are a DJ looking for the best DJ mixing software, you should definitely check out all that Magix Digital DJ has to offer. In its standard from, it may not be the most comprehensive software option out there, but it offers great value for money and is more than capable of making some great mixes for your next big event. *Please note - the author received 'A review copy of Magix Digital DJ' from a company other than Bright Hub in order to develop the content contained within this article or review.